It is possible to build different versions using the same codebase written in ES6. The library is available for installation via npm and adding it to your project is quick and easy. 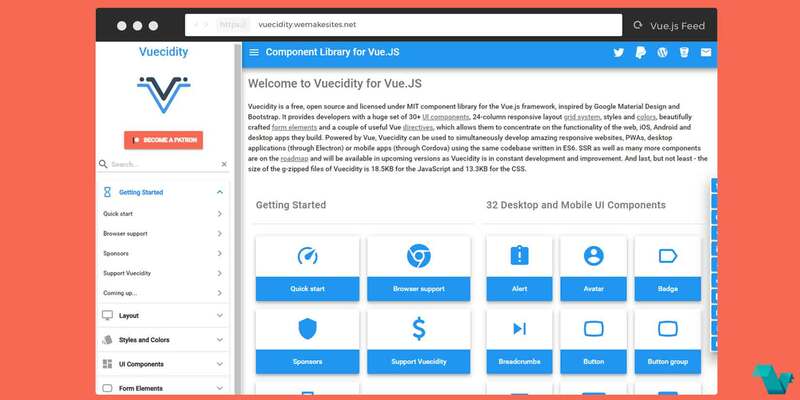 To add Vuecidity to your project you should pull it to yournode_modules via NPM or Yarn and import the styles for VcIcon and VcFlag as described below. jsDelivr and UnPkg CDN support is also available as described below. You can find @vuecidity on Twitter.